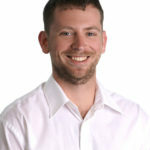 Oakville Physiotherapist Tim is excited to be part of Palermo Physio and Wellness Centre. He began his academic journey towards Physio at the University of Western Ontario where he studied Kinesiology and Rehabilitation Sciences, graduating in 2012. From there he moved to Hamilton, receiving his Master’s in Physiotherapy at McMaster University in 2014. Since then, he has completed additional professional development courses to stay current. Through the Orthopaedic Division of the Canadian Physiotherapy Association he has taken manual Physiotherapy courses, as well as Acupuncture through the Advanced Physical Therapy Education Institute. Tim was an athlete in his ‘younger’ days. He has participated in baseball, badminton and football. He completed his first (and probably last) marathon in 2011. He has since adopted a more ‘weekend warrior’ lifestyle playing pick-up sports and working out regularly. Tim loves being a Physio and working with a wide variety of people. His patients range from young athletes wishing to return to sport, to older adults working to enhance their independence. As a Physiotherapist he has experience managing joint and muscle issues of the extremities and spine. He also has a special interest in working as a Physiotherapist treating chronic health conditions including but not limited to ALS, MS, Parkinson’s Disease, cancer, rheumatoid arthritis (RA), osteoarthritis (OA) and COPD. As a Physio student and now as a Registered Physiotherapist in Oakville, Tim has worked in private orthopaedic clinics, sports medicine, in-patient rehabilitation, and paediatric developmental neurology. Tim believes strongly in continuing education and staying current on best practices. He is currently taking additional courses in manual therapy as well as vestibular rehabilitation. Since 2008, Tim has served in the Canadian Forces Primary Reserve. He has had the opportunity to work and train in a variety of both field and clinical settings throughout Ontario and Quebec. He is excited to be part of the team at Oakville’s Palermo Physiotherapy and Wellness Centre, treating patients in Oakville, Milton and Burlington.